In 1977, Minoru Ikishima, the owner of a small chain of sushi restaurants in Japan, decided to try to optimize the costs of his business and to reduce difficulties with qualification of chefs. Every evening after work for 2-3 months he gathered together with his enthusiastic chefs and organized «brainstorming» sessions to discuss possible ways to improve service, reduce costs, and automate manual labor. This group of enthusiasts had no special technical education, but that did not prevent them from thinking up and drawing the first prototypes of future machines to facilitate the manual labor of sushi chefs. Minoru Ikishima started working with one international engineering company and in few months, they constructed the first trial machine for sushi production. Changes in design were almost immediately proposed, but only after three years of testing was the first prototype of industrial sushi machine constructed. At the first exhibition of innovative developments, the prototype was met with enthusiasm by chefs and owners of sushi restaurants. Around the same time, staff of another Japanese company gathered together in the evenings after work and organized a «brainstorming» session. A matter of discussion was the future of their company, one of the largest producers of the sound equipment — Audio-Technica Corporation. The music industry went everywhere from tape cassettes to CD and digital format. The company's prospects were dim. The leadership of the company decided to diversify business and began looking for new ideas with its employees. One of them suggested a unique innovation — a robot for making sushi. In 1984, Audio-Technica Corporation established the new AUTEC trademark and produced first-ever Nigirikko sushi robot for mass distribution. A person placed prepared sushi rice from above and turned the handle – the robot then formed ready-made nigiri rice balls and carefully placed them on the surface. The robot was manual and was intended for home use. Nigirikko allowed any chef to cook equal sushi and became very popular. The market showed that this sector had great prospects. Engineers began to construct new sushi robots. The oldest and most modern sushi robots. 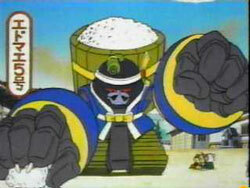 The undoubtable advantage of sushi robots was that initially chefs were involved in the construction and engineers took their wishes into account. It allowed for the effective integration of new equipment into already running bars and restaurants. 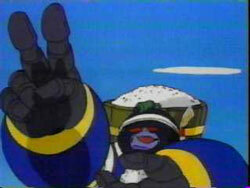 Besides, the separate branch of sushi business gained in development. Emergence of these industrial machines for sushi production enabled the development of the whole industry of ready-made sushi sales for various shops. Together by replacing manual work with automated work, the costs of production fell and producers could reduce the final cost of sushi for the consumer. The ingredients used by sushi robots were the same as in manual production, so the taste and texture qualities of sushi fast food were not inferior to that of sushi in restaurants. Many Japanese restaurants and bars, using the foreign development model of fast food chains like McDonald’s, had separate cash desks for those who wanted to buy «take away» sushi. Thus was born the popular concept of «take away» sushi shops.